You belong to one of the largest and most respected elite Chambers in the West... show it off! 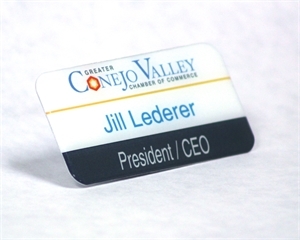 This magnetic name badge bears the Chamber logo, your name and your business name. Wear it at mixers, networking breakfasts and business meetings to identify yourself and to show that you are an engaged member of the community.